It is FREE to apply and is open to everybody who is in business. You do not need to be a Member of Wexford Chamber to apply. During the course of the last eleven years business in Wexford has evolved & changed – so too have the County Wexford Business Awards. 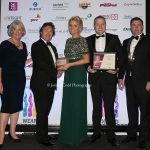 Feedback from previous years and constant study of the business environment has led Wexford Chamber to both add new award categories and to re-vamp the existing categories. CLICK HERE TO VIEW FULL LIST OF CATEGORIES. In most cases, you will apply yourself for a Category Award. As a Manager you understand there are many roles to play in achieving exceptional results, developing strong team dynamics and inspiring others to greatness. A self nominated application form will provide you with recognition of success, putting your business in the spotlight and an opportunity to celebrate the achievements of your staff and supporters. However, you may also nominate somebody. Do you know somebody that inspires others, is passionate about management, develops the potential in others and is achieving exceptional results? Give them the ultimate recognition and nominate them today. 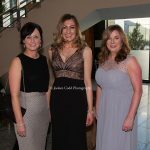 The recipient of the 2019 Overall Wexford Business of the Year Award will be chosen from the winners of each category. Judging will be carried out by an independent Panel of Judges.